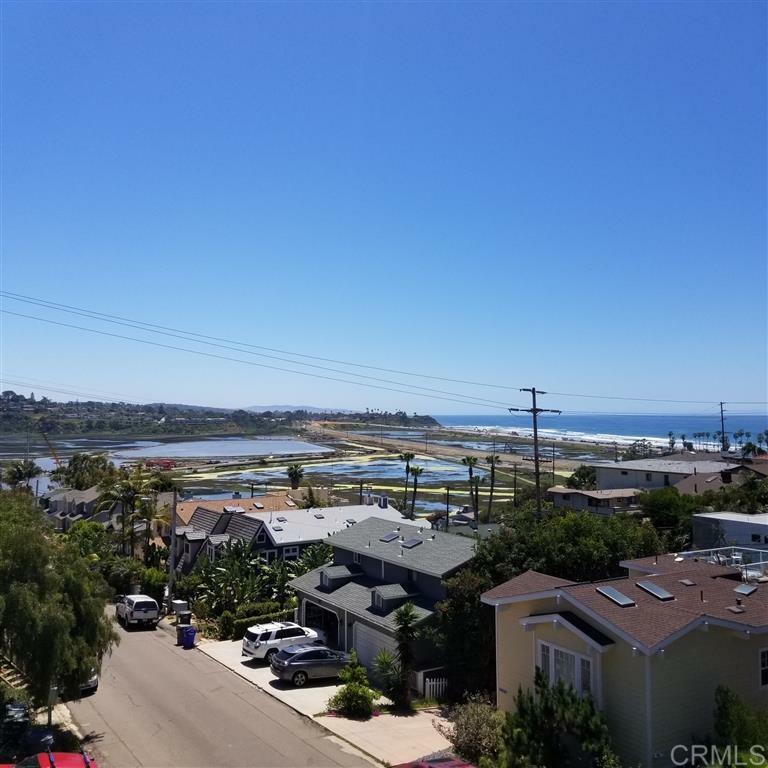 Come relax to amazing views and the peaceful beach lifestyle that is Cardiff By The Sea. West of the I-5, 4 block walk to the beach! Lift your head off your pillow when you wake up in the morning to look out the window to see how the waves are breaking. This South facing twin home boasts 3 bedrooms + enclosed bonus room you can use as a reading room or? Two full baths upstairs and 1/2 bath downstairs with Italian floor tile. Remodeled kitchen includes Merbau flooring. Custom cabinets and granite counter, tops in kitchen and bathrooms. Vaulted ceilings throughout give it a light and airy feeling. Full laundry room closet located downstairs. 2 car attached garage leads into kitchen with no stairs for easy grocery unloading! Easy access to I-5, short walking distance to Cardiff state beach, San Elijo Lagoon, Seaside Market and BestA-Wan pizza.